Now that GDPR is in effect, let’s turn our attention to the CCPA, which stands for the California Consumer Privacy Act of 2018. The CCPA was passed in July of 2018, and goes into effect on January 1st, 2020. It is essentially a scaled down version of GDPR, focusing only on data collection and privacy (GDPR also includes requirements and prohibitions regarding data security and reporting). (a) The business earns $25,000,000 a year in revenue. (c) The business derives 50% or more of their annual revenue by selling personal information even if fewer than 50,000 separate and distinct entities (consumers, households, and/or devices*). Unlike GDPR, the CCPA also very clearly defines the individuals to whom it applies: California residents, as defined by California law. (1) The right to know what personal information is being collected about them by the business. (2) The right to know whether their personal information is sold or disclosed by the business, and to whom. (3) The right to say no to the sale of their personal information. (4) The right to access their personal information that the business is holding. (5) The right to equal service and price from the business, even if they exercise their privacy rights. The CCPA applies to any business anywhere in the U.S. or the world that does business “in California”. For a discussion of just what “in the state” may mean, see the article on our sister publication, The Internet Patrol on the Wayfair decision. 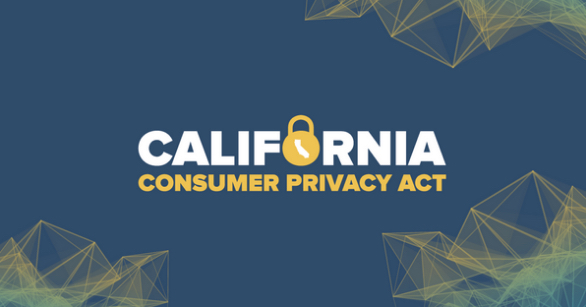 Now that GDPR is in effect, let's turn our attention to the CCPA, which stands for the California Consumer Privacy Act of 2018. The CCPA was passed in July of 2018, and goes into effect on January 1st, 2020. It is essentially a scaled down version of GDPR, focusing only on data collection and privacy (GDPR also includes requirements and prohibitions regarding data security and reporting).